This is a serious matter and reported by The Independent (UK) as well as BBC without any denial from Saudi officials. The house of Hazrat Khadija (RAU) was already demolished and replaced with a toilet (Nauzbillah) and this is known by all locals as well as those who visited Holy Makkah in last couple of years. Now that the Saudi Government is planning to demolish the residence of Prophet Muahmmad PBUH too, it is high time to take action. Not only would this be a serious loss and hurt to over 1.6 billion Muslims but a threat to the common world history, culture and heritage. Therefore I urge you to spread this and raise your voice no matter what religion you may belong to. If enough pressure is generated, the Saudi Royals may back-out from the heinous act planned. Fresh plans are being drawn up to erect a modern complex on the site of what scholars of Islam contend is the birthplace of the Prophet Mohamed (PBUH) as part of a sweeping multi-billion-dollar redevelopment of the pilgrimage city of Mecca that has already ravaged many sacred sites and structures. If approved, the project, details of which have been obtained by The Independent, would entail the demolition of a small library steps away from the Masjid al-Haram, or Grand Mosque, which sits directly on top of what are believed to be the remains of the house of the Prophet (PBUH)’s birth. Hopes that the library, which stands on a raised plinth, and the site beneath it would be spared rose briefly last year when Saudi Arabia’s royal family backed off earlier plans to replace it, either with a sprawling metro rail station to drop off pilgrims or an enormous new library dedicated to King Abdul Aziz, founder of the modern kingdom. But the construction company in charge of redeveloping the area, the Saudi Binladin Group, proposes that it be razed to make way instead for the imam’s residence and an adjacent presidential palace. The Saudi royal family are adherents of the Wahabi faith, an austere interpretation of Islam that has served as the kingdom’s official religion ever since the al-Sauds rose to power across the Arabian Peninsula in the 19th century. The kingdom’s rulers, who deny Mohamed (PBUH) was born in what is known as the House of Mawlid, are opposed to preserving relics of the Prophet (PBUH) because they say it encourages shirq, the sin of worshipping idols other than God. The rush to transform Mecca at a cost of tens of billions of dollars into a shiny metropolis of skyscrapers and hotels, and the giant expansion of the mosque itself to accommodate ever greater numbers of pilgrims continues pell-mell with scant regard for archaeological preservation of any kind. Ottoman-era columns in the mosque bearing inscriptions pertaining to the Prophet(PBUH) have been toppled, while the house of his wife (RAU), steps from the library, is the site of a giant toilet block. The Grand mosque and the Kaaba in the holy city of Mecca (Getty Images) Building a grand new residence and a presidential palace would almost certainly mean encroaching on what remains of the house. Once the site is overbuilt with new concrete and marble all opportunity for archaeological exploration would presumably be lost. The small library – a squat stucco building which rarely opens for visitors – is one of the last existing structures standing in the way of the bulldozers. It was built in the early 1950s as a means of protecting what lies beneath it. Youth Loan Scheme: Game changer for Pakistan economy? There’s an old wise saying that every problem presents an opportunity. Of-course it requires a positive attitude, willingness to adapt and an out-of-box thinking. The hurdles facing the PM’s Youth Loan Scheme presents a similar avenue of opportunities to turn it around into a success. When I wrote about the snags hitting the Youth Loan Scheme earlier this month, I was hoping for a receptive information ministry and a positive change for the sake of Pakistan and our youth. It was therefore delightful when the proposal of allowing the close blood relative(s) to become guarantor(s) was made, thereby addressing a major flaw pointed out. It makes sense as not only the close blood relatives know a person best but would be ideally placed to motivate them while keeping a check on them too. Furthermore they are most likely to guarantee for a potential applicant. The debtor would also be more cautious as these people would matter to him more than a stranger or associate. Therefore this step is indeed one in the right direction. However this issue was pointed out as an example of the blunders committed and is not one of the ultimate issues. Unfortunately the real problem and the solutions suggested had been conveniently ignored by the who’s who of the scheme. The real issues leading this scheme away from its stated objective of helping unemployed, preferably educated youth establish themselves by setting up businesses and instead turning it into a cheap finance scheme for SME’s rests elsewhere. There are two major obstacles preventing an ordinary unemployed person from being a beneficiary of this scheme, the guarantor requirement and the interest element. It is no surprise that these two are the most criticized and complained about by the intended beneficiaries. Even more cumbersome is the guarantor requirement for an unemployed poor or lower-middle-class youngster who would already be doing some work or business if he had the required 1.5 times the potential loan amount or a guarantor with that sort of money willing to pledge it. Granted that banks needs to secure their investments and the government faces a lack of resources specially in the wake of NBP denying to fund beyond a maximum of PKR 15 billion owing to the doubts about the “safety” of investment. But what if the government can address both the problems without spending a single additional rupee? Sounds good? Let us examine than. Since the government is already bearing almost half the interest costs for PKR 100 Billion (7% of the total 15%), reducing the total portfolio size to approximately PKR 50 billion will effectively eliminate the interest cost for the borrower, making it interest-free. In addition to satisfying the faith prohibition, the interest-free loans would mean better cash-flow and hence better chances of success for start-ups which in due time will be contributing to the exchequer. Reducing the total portfolio size does make sense considering the low level of actual applications submitted, still short of 15,000 required for the first “draw”. There is no point putting out a PKR 100 Billion when it cannot be used for the intended purpose. This is even more pertinent considering that Mrs. Maryam Nawaz Sharif has pledged and been trying unsuccessfully to date, to accomplish the same. Furthermore, as the government has also committed 50% of the expected PKR 10 Billion losses on a PKR 100 Billion portfolio in the policy document it can resolve the guarantor issue facing the potential applicants by using this PKR 5 Billion in a way to guarantee the investment of the banks while strengthening the investment and insurance industries at the same times, thereby creating additional jobs and revitalizing the economy. The 5 Billion already pledged by the government should be invested in low-risk, capital guaranteeing investment funds or a separate portfolio along similar lines. The returns from this can be used to fund the insurance indemnification of the total portfolio (preferably PKR 50 Billion portfolio in the beginning as explained above) against defaults. This would not only strengthen the investment and insurance industries but the resulting boost in financial markets will inspire confidence in investors which can lead to further positive impacts for the wider economy by starting a cycle of economic activity, in addition to the upticks in the bourse. To protect insurance companies against major future losses, the indemnity purchases should be diversified across as many companies as possible. The major counter-argument stating that the majority of these unsecured loans may never be returned needs to be examined in the context too. Firstly, it will be costing the government a mere PKR 5 Billion with the potential of getting hundreds of thousands of families on their feet. The insurance will already be protecting the banks’ investments. Secondly, unlike the hundreds of billions of bad debts of banks siphoned overseas by the rich and mighty generals, judges, bureaucrats, politicians e.t.c., even those “misusing” these loans would be investing it in Pakistan’s economy, be it by buying plots, cars or stakes in other running businesses. Last but not the least even if 10 to 20% of the businesses turn out to be genuine it can become the catalyst for economic revival desperately needed by Pakistan. The fact that millions of application forms were claimed to be downloaded but still even 15,000 applications could not be submitted throughout Pakistan in almost seven weeks since the formal inauguration of the scheme, speaks volume about its “success” in its present form. This alone should motivate the brains behind the scheme to rethink their strategies and the requirements leading to the debacle. 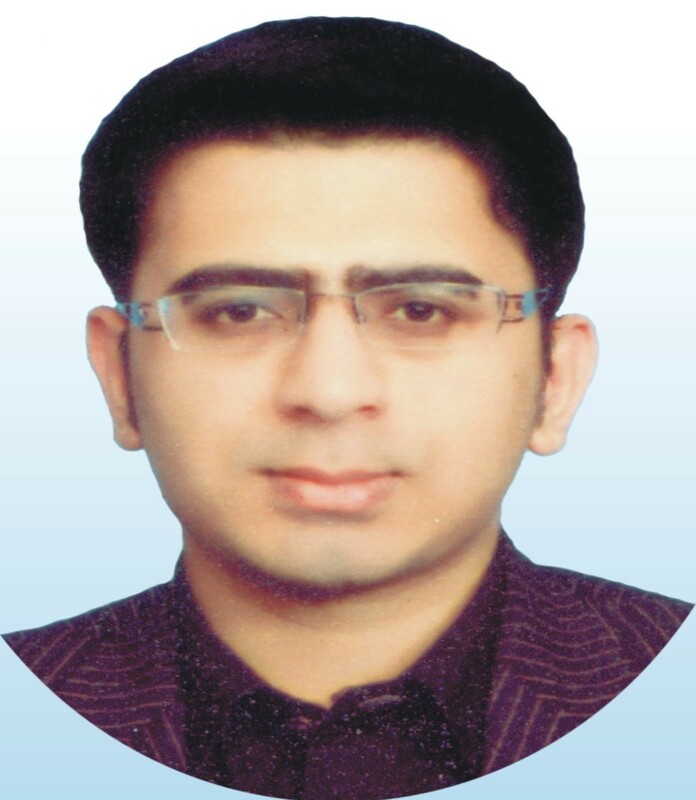 Prime Minister Mian Muhammad Nawaz Sharif needs to decide whether he wants this “Youth Loan Scheme” to actually fulfill the stated purpose and help the most neglected segments of our society or would he be satisfied by a mere political gimmick, at the most acting as a source of cheaper finance for SME’s only. This scheme, if adapted as outlined above, has the potential to be a game changer for Pakistan’s economy, society at large and political landscape. Whether it will actually be tailored to achieve the stated goals and a lot more, remains to be seen. Privatization is coined as a solution to many economic woes facing Pakistan’s economy. It has been hailed as a solution to the woes facing PMLN’s government. The privatization commission has even shortlisted 31 institutions to “sell”. On the face of it, the arguments appear to be sound and make sense. It’s pointed out that a government’s primary function is to run the state affairs and should facilitate the businesses instead of running them. The “white elephants” in the shape of public sector enterprises (PSE) are costing the national exchequer billions of Rupees annually which can be saved and spent on public welfare. However once we start to dig deeper the situation is not as glossy as it may appear at first. First of all a successful privatization exercise has some pre-requisites like a conducive environment with investors’ confidence, a strong government able to enforce the agreements, proper selection of non-vital PSE’s and a fair process carried out in a transparent manner. Sans this, privatization cannot turn-around the state of PSE’s or the economy. Past experiences are a testament to this. Once again the incumbent PMLN government is focused on privatization but unfortunately is ignoring the vital pre-requisites. The faulty selection of profitable and strategically vital entities, the extreme haste in the proceedings, missing policy guidelines, a lack of clarity and transparency in processes, non-conducive investment atmosphere and a less-than-desirable track record all warrants caution in examining the proposed solution of privatization. Amidst the noise of overhauling loss-leaders several profitable institutions are also earmarked for privatization, which besides funneling billions to the treasury are also providing products/services at cheaper rates to the public as compared to the private sector in the international market. One such example is the Oil and Gas Development Company Limited (OGDCL) which generated a profit of approximately PKR 91 billion in last fiscal year while providing the gas at 40 to 50% of the prices offered by private sector in international market. Another example is Pakistan State Oil (PSO) generating an after-tax net profit of approximately PKR 12,558,000,000 in the year ended 30th June 2013, a 39% increase from the previous financial year. Privatizing such institutions would not only lead to loss of billions to the exchequer but also an increase in the comparatively cheaper prices currently offered to the masses. A case in point is the handing over of PTCL control to Etisalat by the Musharraf regime in which a minority shareholder effectively got all of PTCL for a paltry sum to be paid in installments still partially outstanding. What is iconic is the fact that Etisalat itself is a PSE of UAE. This means that while as per the proponents of privatization “state cannot run vital services”, however it is believed that a foreign state owned enterprise can come to Pakistan and do the same. And just to analyze how effectively has this privatization venture gone we should realize that the same PTCL which was generating profits of billions of PKR but is now reporting heavy losses despite increased tariffs and with a falling standard of customer service often complained about. Similarly KESC which was sold on the hopes of a turnaround with substantial investments expected in infrastructure by the private party. Unfortunately it has instead become a much bigger white elephant requiring continuous rescue by the government while the new private owners continue to remit their profits abroad. Their failure to even invest in the necessary infrastructure maintenance has lead to undue load-shedding over and above that necessitated by load-management. Not only has the government of Pakistan lost revenues from healthier dividends and resulting taxes, it has also lost by falling share prices of its remaining stake in these entities. The public has suffered a deteriorating service and higher prices. To put things in perspective let us also recall the privatization of MCB to Mian Mansha’s group, undoubtedly amongst the strongest business conglomerates in Pakistan. The deal was done at a fraction of the fair value of the tangible assets of MCB let alone considering the value of the brand and goodwill. Obviously such moves do not boost confidence particularly when the same group’s head attends important government policy meetings is said to be interested in getting “good” deals on more national assets at the cost of the nation. It has been reported that the incumbent government sent a letter to IMF claiming a consensus of all political parties and parliament to privatize the national institutions. This obviously points towards the pressure emanating from the terms of the IMF package accepted by Pakistan and explains the haste. This undue urgency leading to lack of planning should be avoided. The government needs to ensure it is not selling off profitable and strategically vital PSE’s in the name of privatization for short-sighted capital injections at the cost of long-term stability and revenues. Furthermore institutions providing vital services to the masses should not be on the wish-list of the potential sell-offs either. As for those entities generating losses like PIA we need a proper plan of action. One leading argument for privatization is that since the private sector is driven by profit, the efficiency and performance of institutions is supposed to improve in private hands. Unfortunately the past record of privatization in Pakistan does not support this argument. Be it PTCL or KESC, not only their profits but the standard of services too has fallen in private hands. Also it brings up an interesting question as to why the government cannot introduce checks and balances along with incentives to ensure a turnaround they expect from private entities. Moreover, in developed countries strict legislation has been introduced to ensure avoidance of the common pitfalls of privatization, protecting the interests of all shareholders and safeguarding the continuation of service(s). Same needs to be done in Pakistan to address the issues already facing us from past public-private venture which effectively handed over whole PSE’s for a paltry minority stake in ownership. Some economists supportive of the privatization point out the previous failed attempts at turnaround but conveniently ignore the major reason of undue interference, political appointments and misappropriation by government officials. The success stories of the last major successful turnaround of a loss-making steel mill into a profit generating venture are also conveniently swept under the carpet. They also choose to forget that if enterprises like PIA are privatized, which have the highest ratio of employees per aircraft of 500 compared to international standards of fewer than 150; it will still lead to layoffs and resulting backlash. Ideally a better option will be to establish an independent and empowered restructuring institution (RI) to overhaul PSE’s, which if handled properly will make the process less painful compared to a private venture while ensuring cost-effective quality services from a revenue-generating asset of the nation. All that is required by the RI is to place competent professionals of utmost integrity at the top positions based solely on merit to run the PSE’s, introduction of a system of appropriate checks and balances run by professionals whose life is driven by measuring performance against goals, spurring motivation and ensuring excellence via improved performances. If for some reasons a privatization is deemed mandatory then a hurried privatization without a proper policy, appropriate selection of PSE’s and laws safeguarding the national interests as well as protecting the masses should be avoided as it will only lead to less efficiency by investors with conflicting interests, more unemployment, resulting lawlessness, inflation, loss of revenues and government bailouts.